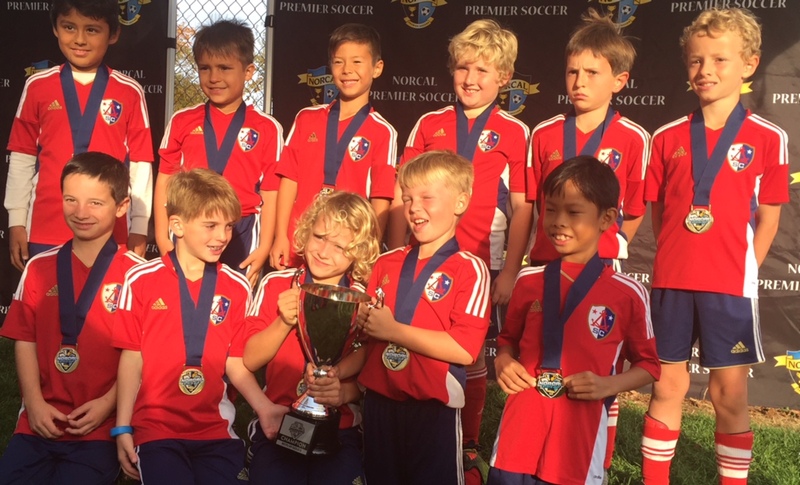 The 2009 Girls Red team won 2nd place at the Santa Cruz Breakers Halloween Cup 2 weekends ago. 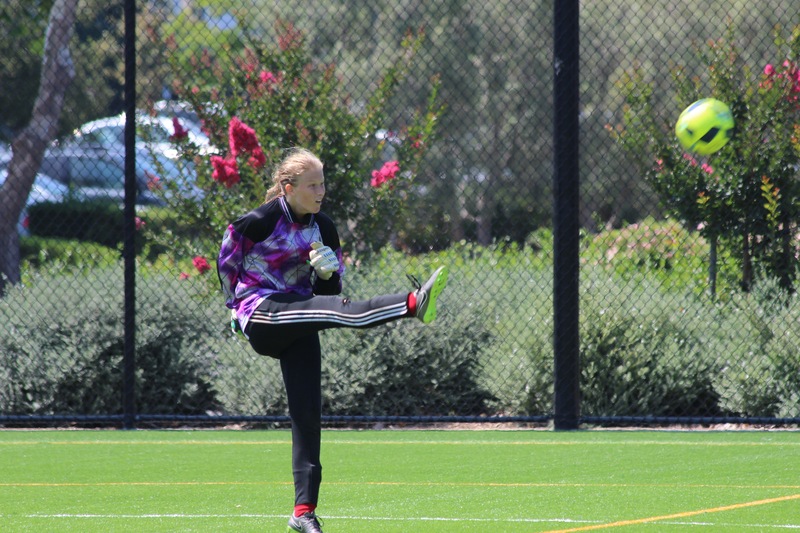 They played tough by playing against IR Academy who are currently ranked 5th in California. The Islanders, however, broke IR Academy’s shutout streak at the tournament by scoring against them leaving the final score at 5-3. 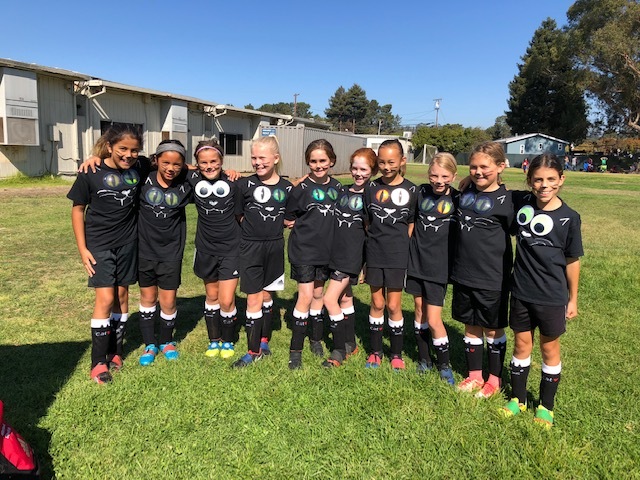 The ASC Islanders 2006 Girls brought home the Kick-or-Treat Tournament championship hosted by the Fremont Youth Soccer Club on October 27th and 28th. This tournament was all about the girls showcasing their growth and development over this season. They began the season with a shaky 0-4 tournament performance in August. 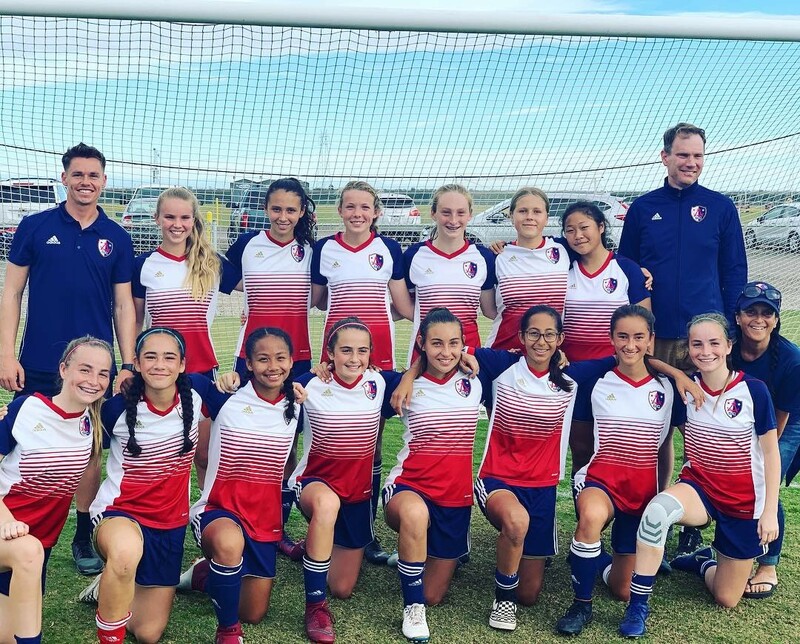 Now, they dominated their age group by going undefeated and conceding only 1 goal in the final 90 seconds of tournament play. BA-BOOM! This success was truly a team effort. The impressive defensive stand was led by Kate Sikora (defensive mid), Sophie Moser (right D), Josie Farris (left D), Kate Burgess (center D), Dani Petersen (center D) and 4 shutout halves by Soren Firestone as goalie. Sarah Grace Powell (striker) led the attack with 4 goals and 3 assists over the two-day tournament. Ivy Ausmus (wing forward) scored 2 goals, and Gracie Martin (wing forward), Zuni Zapeta-Huggans (attacking mid), and Sikora each scored a goal. Two of Powell’s goals came off of direct free kicks. Martin’s goal was the most impressive of the tournament, as it was a powerful one-touch finish off of a long cross from Powell. Martin’s goal was in the final game and served as a fitting punctuation to the team’s dominant performance throughout the tournament. 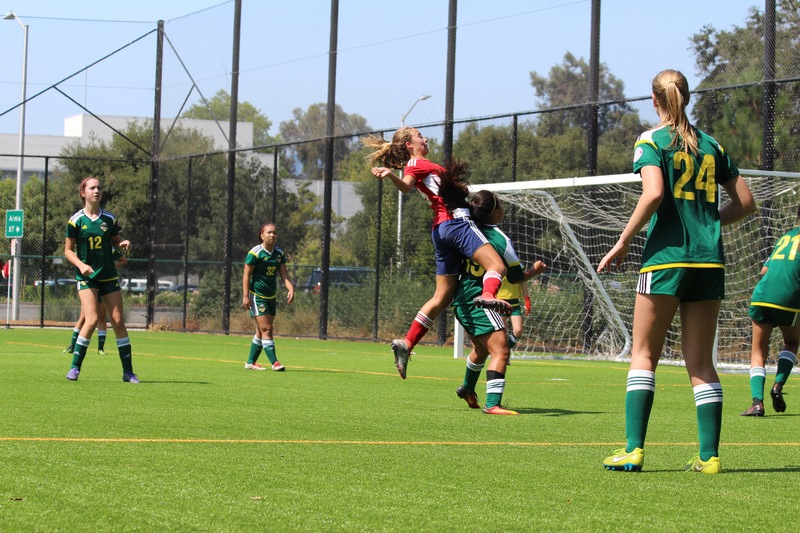 Hana Thomas (wing forward, attacking mid), Jaena Freeman (striker, attacking mid), Maddie Sanchez (wing forward), Ruby Rawski (wing and mid), and Savanna Stollman (attacking mid) all made important contributions controlling the mid-field or forward attack with their give-and-goes, overlaps, steals, switches, and through-passes. Teammates Jardena Kully and Olivia Martin were unable to attend, but have been crucial to helping this team develop and achieve this level of success. The girls went as hippies on the first day. Thank you to Jen Firestone and Merri Rawski for costume design and coordination! We wish to thank all of the parents for taking time out to support our team and cheer us on! The Islanders 2009 Girls Blue team got bronze medals at the Kick or Treat tournament in Fremont this past weekend! 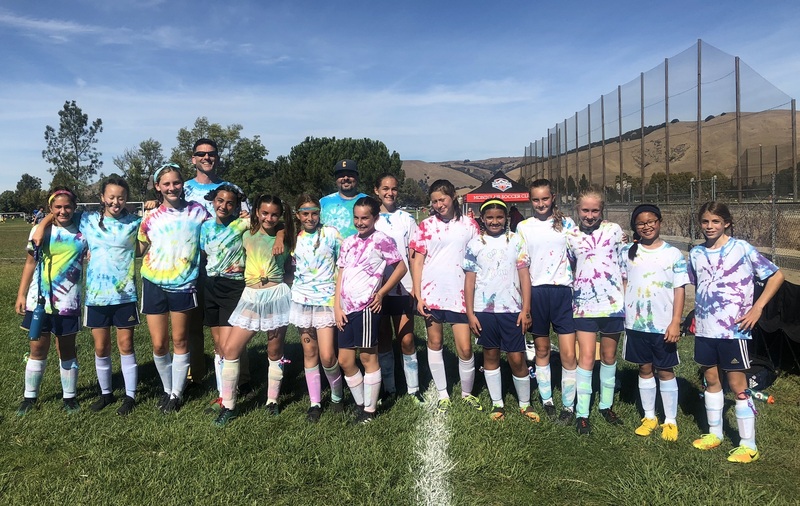 The Islanders 2007 Girls Red team took 3rd Place at the Kick or Treat tournament hosted by Fremont Youth Soccer Club on October 27th-28th. 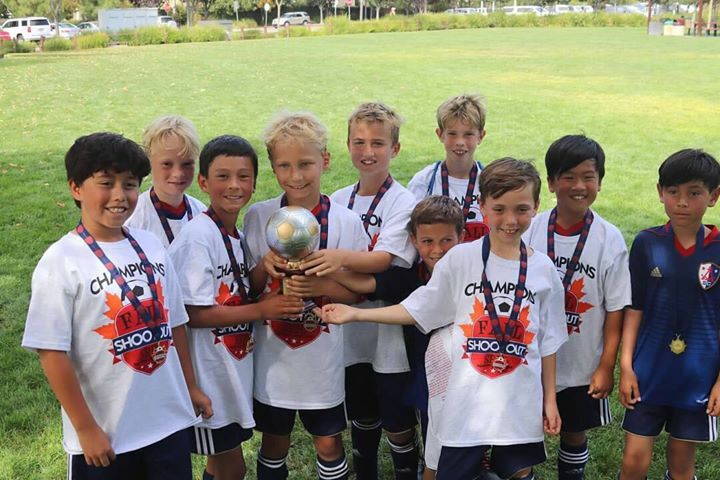 Register now to tryout for Alameda Soccer Club’s Islanders competitive program. We will be forming boys and girls teams, ages 7-17 for the 2018/2019 season. The Islander’s program promotes high levels of player development in an affordable and community-based environment. 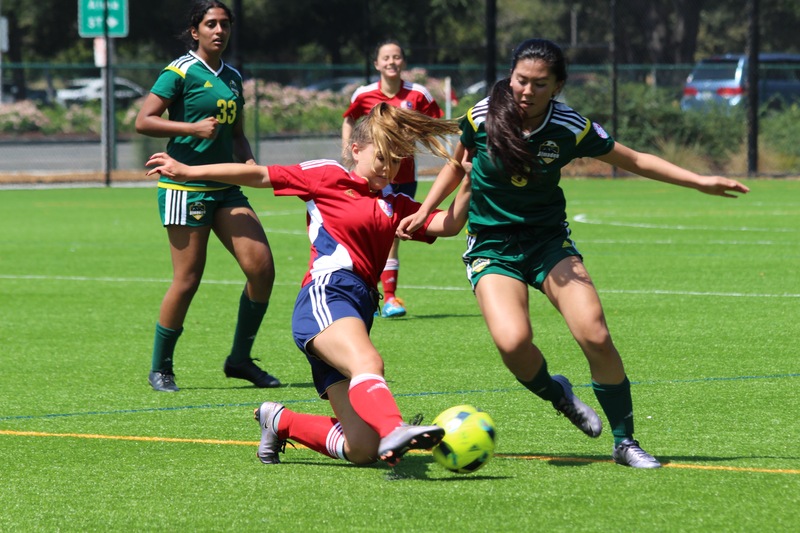 The Alameda Islanders 2001 Red U17 Girls team defeated Marin FC on Sunday by the score of 2-1 to win the Norcal Section 2/3/4 Gold League championship. Marin FC equalized early in the second half after Sydney Owyang put the Islanders ahead with a composed finesse shot from the edge of the penalty area. It wasn’t until late in the game that Juliene Grandy scored the decisive goal, putting in a rebound of Elle Kallsen’s free kick which rattled off the cross bar with three minutes to play. The Islanders finished League with a record of 7-1-1 with twenty-one goals scored to only five allowed. With this title, this team represents the first Alameda Islanders club ever to win a league championship in the Gold division. The Islanders are coached by Adam Butler, assisted by Pia Abola. 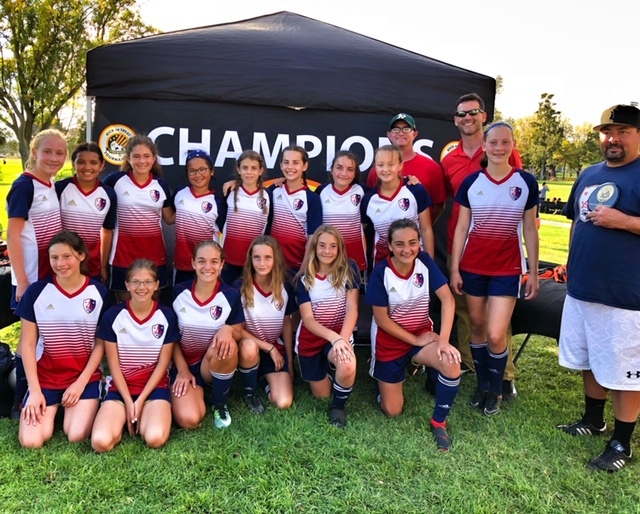 The champion Alameda Islanders 01 Red are: Alina Soto, Zoe Peterson, Sydney Owyang, Elle Kallsen, Megan Stilling, Claire Rizzo, Kate Crawford, Sofia Faaland, Margaux McNeil, Molly Cha, Juliene Grandy, Julia Kennedy, Anya Balthasar, Leah Rice and Olivia Sprouse. Team parent shared this video of the go ahead goal in the final minutes that secured the championship.